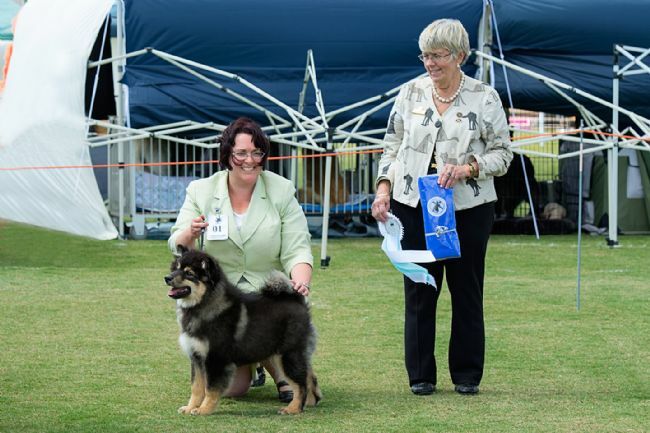 Show Results: Opposite Baby Puppy in Specialty Show, Minor puppy in Group, multiple BOB/RUBOB..
Leo (Kiehtova Armour Atty) is our lovely promising pup bred by our good friends Adrian and Carole Woollard from Kiehtova kennels. Very nicely put together, lovely head and ears correct. Nice expression, good nose (colour) and bite. Correct neck, back and tail set. Good bone and feet, in puppy coat. Friendly temperament. Promising. He has since collected a baby puppy in group and a number of Best of Breed/Runner up Best of Breeds. Leo is a lovely, solid and confident puppy. We are looking forward to campaigning him as he matures, and we agree that he is indeed very promising!